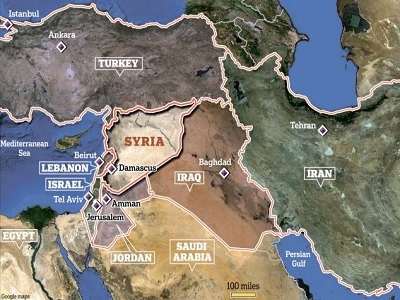 HomeArticlesJust Gaza – Another Carter-Moment? Operation Pillar of Cloud offensive began on November 14, 2012 with the assassination of Ahmed Al-Jabari. Last week marked the first anniversary of the November 2012 Israeli offensive against Gaza. It would be good to be able to say that it marked the END of that offensive, but as events over past days have clearly shown, it did not. Why not? However, in 2011 the UNSC managed to condemn the assassination of Chairman of the Afghanistan High Peace Council and former president Professor Burhanuddin Rabbani in Afghanistan , in the 2000’s it condemned all targeted assassinations of Lebanese leaders , and in the 1990’s it condemned the assassination of officials of the legitimate Government in Haiti and the attempted assassination of Egyptian President Hosni Mubrak in Ethiopia. In the 1970’s the UNSC strongly condemned Portugal for the invasion of Guinea territory, and grieved at the loss of life and extensive damage caused by Portugal’s invasion , and in the years since has managed to make similar statements defending the self-determination and territorial integrity of Namibia, East Timor, and several other countries under threat – but seemingly cannot muster the same moral fibre when it comes to Gaza. When has Israel ever kept its word, which ceasefire agreement has it ever observed? What agreement has it ever honored? Oslo? Camp David? Without minimizing the situation in the rest of Palestine, where territorial integrity and rights are trampled by occupation, settlements, excessive use of force, deportations, house demolitions, arbitrary detention, extra-judicial killings and particularly gross abuses of the rights of children, the current situation in Gaza a year after the so-called truce is dire. The UN reports the humanitarian situation in Gaza today is at crisis point , with sewage flowing in the streets and power cuts of 16 hours a day, while other humanitarian organizations report lack of essential medicines, water, employment and other necessities of life. Not only UNRWA’s Grandi, but also the UN Goldstone Report, the UN Human Rights Council’s Independent Experts , and other UN agencies all hold that the Israeli blockade of Gaza is illegal. It is not time that the UNSC acted not only in accord with its own agencies, but also with the principles of the UN Charter, and delivered justice to Gaza? 8 July 8 1972: Ghassan Kanafani, member of the Popular Front for the Liberation of Palestine (PFLP) Palestinian author, major international literary figure and intellectual, killed in Beirut by a Mossad car bomb. 16 October 1972: Wael Zwaiter, Palestinian Liberation Organisation (PLO) representative to Italy, renowned Palestinian intellectual and pacifist, shot and killed by Israeli agents in Rome. 28 March 1978: Wadie Haddad, senior member of the PFLP, dies in East Germany from slow-acting poison ingested several months earlier. It is later revealed that Israeli agents were behind his murder. 21 August 1983: Mamoun Meraish, senior PLO official and top aid to Yasser Arafat, is shot and killed by Israeli agents in Athens, Greece. According to later Israeli press reports, future Foreign Minister (currently Minister of Justice) Tzipi Livni is involved in Meraish’s killing. 9 June 1986: Khalid Nazzal, Secretary of the Democratic Front for the Liberation of Palestine (DFLP), is shot dead by Israeli agents in Athens, Greece. 26 October 1995: Fathi Shiqaqi, a founder of Islamic Jihad, shot by Mossad agents in Malta, as he leaves his hotel. 5 January 1996: Yahya Ayash, Hamas military commander, killed in Gaza by an Israeli explosive device planted in his cell phone. 25 July 2001: Salah Darwazeh, senior Hamas activist, killed by Israeli ground-to-ground anti-tank missiles fired at his car in the West Bank. 29 July 2001: Jamal Mansour, a senior member of Hamas’ political wing, killed in an Israeli helicopter strike on his workplace. 5 August 2001 Amer Mansour Habiri, member of Hamas, killed by Israeli helicopter strike on his car in Tulkarem. 15 August 2001: Emad Abu Sneineh, a member of the Fatah Tanzim militia, killed in Hebron by undercover Israeli agents. 27 August 2001: Abu Ali Mustafa, secretary general of the PFLP, killed by Israel using US-made Apache helicopter gunships to attack his office in Ramallah. 23 November 2001: Mahmoud Abu Hanoud, senior Hamas military leader, killed by Israeli helicopter strike on his car near Nablus. 23 July 2002: Salah Shehada, Hamas leader, killed when Israel bombed his Gaza apartment building, also killing 14 others including 9 children, and scuttling a ceasefire agreement. 8 March 2003 Ibrahim Maqadma, one of the founders and top military commanders of Hamas, killed by four missiles from two Israeli helicopters fired at his car in Gaza. 22 March 2004: Sheik Ahmed Yassin, 67-year-old wheelchair-bound spiritual leader and co-founder of Hamas, killed by Israeli rockets as he left morning prayers at a Gaza City mosque. Nine bystanders were also killed. 8 June 2006: Jamal Abu Samhadana, founder of the Popular Resistance Committees (PRC) and Interior Minister of the Hamas-led Palestinian Authority government, killed by Israeli rocket attack in Rafah. 15 January 2009: Said Seyam, prominent Hamas leader and Interior Minister of the elected government of Ismail Haneyya, killed in an Israeli airstrike on his brother’s central Gaza City house. Seven others were also killed. 9 March 2012: Zuhair al-Qaisi, head of the Gaza-based PRC, killed in an Israeli rocket attack on his car in Gaza City. His aide, Mohammed Hannani, was also killed. 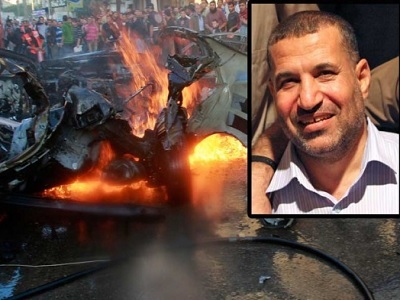 14 November 2012: Ahmed al-Jabari, head of Al Qassam Brigades, the military wing of Hamas, killed in an Israeli rocket attack on his car in Gaza City. So…things being done are illegal. So? It seems that no matter how bad things get, not matter how much pain Israel inflicts, Palestinians are willing to wait years and years and years and years for things to “somehow” improve. What EFFECTIVE noise is the diaspora making? Oh, right. Some 32.5 people in American chose not to buy Sabra hummus.